• Irie Fields, a championship, links style, 18 hole golf course designed by Ian Woosnam. At Kittitian Hill all 84 Cottages are fully built and all other properties that have been sold are substantially complete. As a result, the focus at Kittitian Hill for this season shall be primarily on the hotel operations, with a reduction in construction activity. 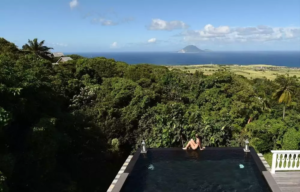 Kittitian Hill is a luxury resort committed to the principles of sustainability set on the foothills of Mt. 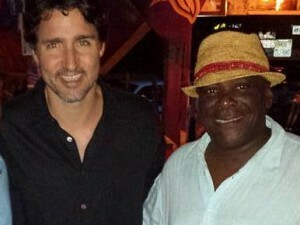 Liamuiga on the North-Western part of St. Kitts. 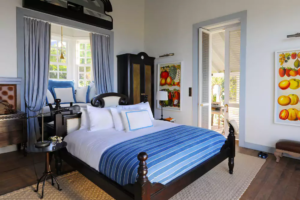 Belle Mont Farm, the Resort’s first luxury boutique hotel, comprises of a collection of private one-bedroom Guesthouses and larger Farmhouses, each carefully crafted in harmony with the tropical landscape, assure guests breathtaking views of the lush green forest and the Caribbean Sea. The Guesthouses are uniquely designed with open verandas on two sides, and a porch or pool deck as well as a private bathroom veranda with rain shower and freestanding bathtub. The Farmhouses are built around a grand central pavilion and professional kitchen. 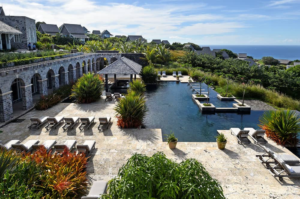 Their flexible design makes them ideal for families and small groups up to four couples and the a private 100foot infinity-edge pool and separate bedroom cottages, makes the Farmhouses one of the most exclusives experiences among resorts in the Caribbean. Belle Mont Farm looks forward to welcoming guests, owners and local patrons back to the hotel on the 1st December, 2017. For more information, visit us at www.bellemontfarm.com.